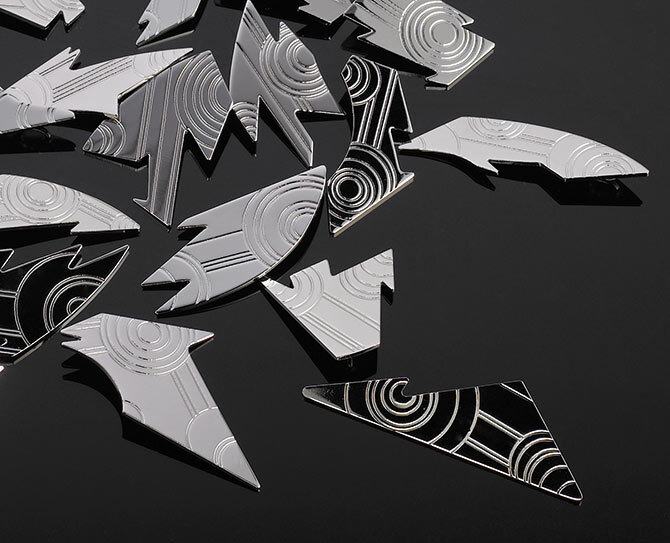 To mark the 25th birthday of the iconic Air Force 1, Daisuke Sakaguchi has been commissioned by Nike to create a limited edition luxury collection of 25 pendants. The collection has been designed to reflect the craftsmanship, simplicity and quality of the Air Force 1, as well as the impact and cultural following it has generated over the past 25 years. The collection also maintains Daisuke's trade mark style and expresses his passion for the subcultures and lifestyles that surround the shoe. 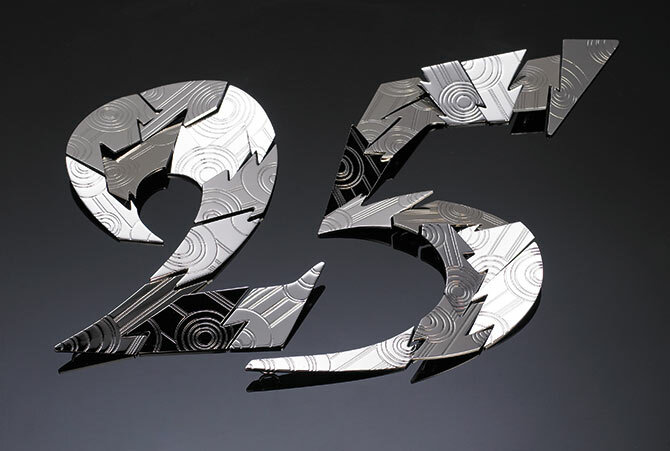 The collection is a puzzle series of 25 pendants that, when put together, form the all-important number 25. 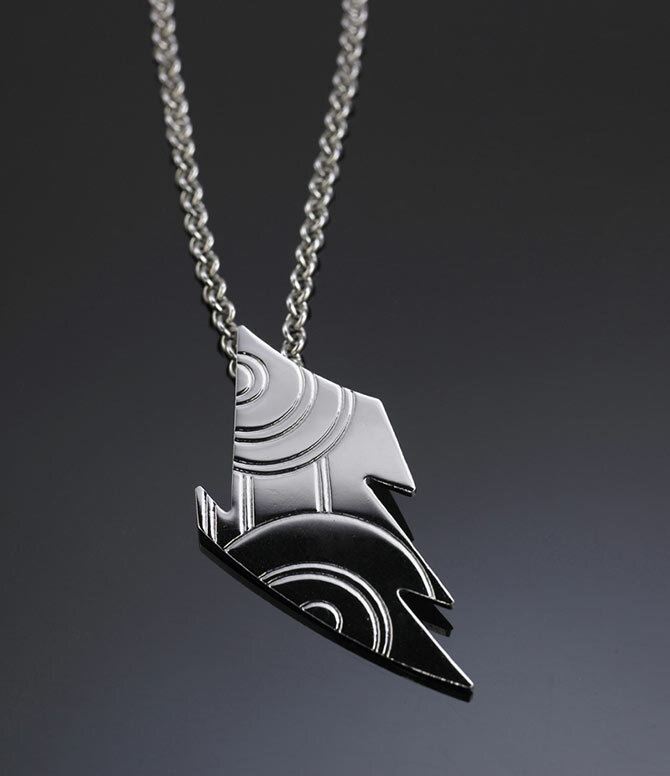 Each pendant is totally unique and individually designed by Daisuke where the statement shapes are reminiscent of his origins as a painter and artist. 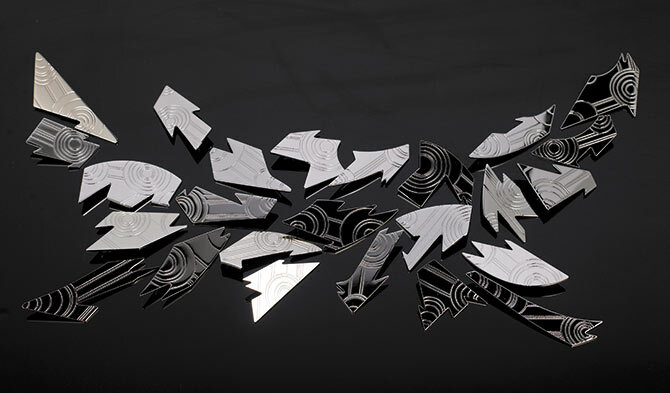 Using a combination of laser and acid etching, the face of each pendant is adorned with Daisuke's interpretation of the distinctive Air Force 1 sole. The reverse of each pendant is hallmarked, certifying the silver quality as 925 Sterling Silver, and numbered from 1 to 25. 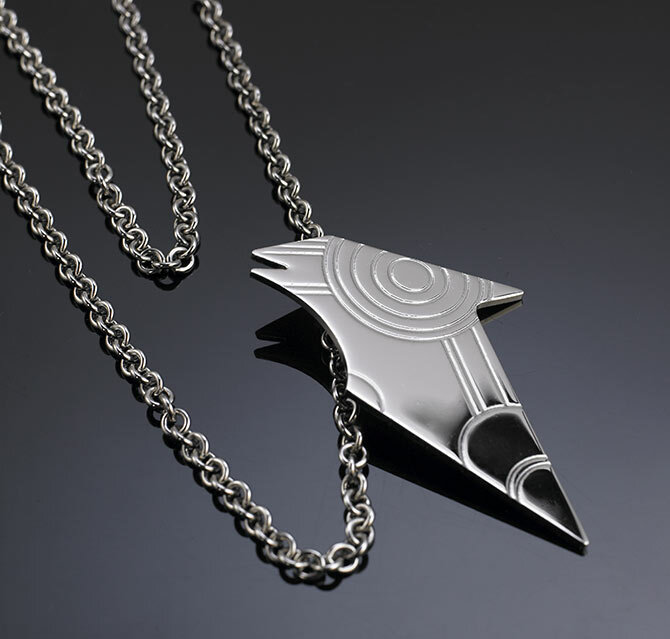 Each pendant is completed with its own 925 Sterling Silver chain. Daisuke has been able to combine his unique and original jewellery designs with the style and recognition of the Air Force 1 which has developed over 25 years. Both styles sit neatly together in this distinct new product continuing both of their reputations for precision and accuracy. This collection started its preview at Comme des Garson's Dover Street Market then travelled to the Nike Milan Show, where it completed it's tour at the home of a private collector.